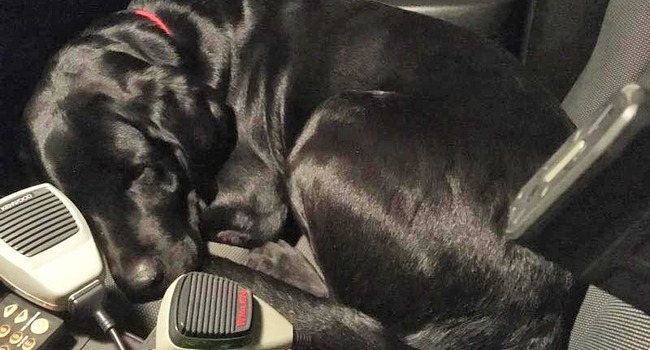 Ruger was lost, but now he’s found. And really, he sort of found himself. The black lab was out wandering, far from home on a 20-degree winter night in northern California, likely missing his family. At the same time, Tuolumne County Sheriff’s Deputy Jon Hammell was out investigating a suspicious vehicle call. Amid his work, he left the door to his patrol car running, its door wide open. 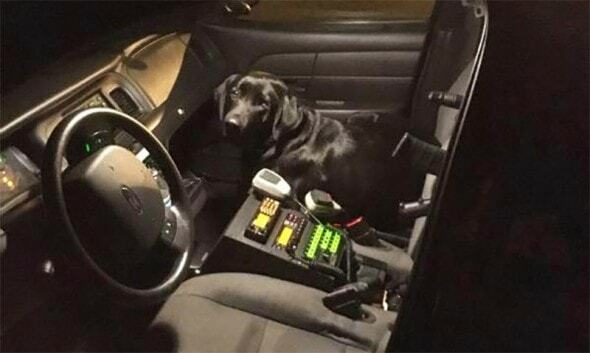 Ruger, who clearly has good instincts, took this opportunity to hop in, curl up on the passenger seat and wait for Hammell to return, find him irresistible, and give him a lift home. Which is pretty much exactly what happened. Ruger’s collar and tags helped the officer find his house expeditiously. Make sure your dog is wearing one all the time!